Invictus Roofing / News Room / Invictus Celebrates 125 years of the NFRC! Invictus Celebrates 125 years of the NFRC! We were very excited to attend the 125th anniversary of the NFRC in Westminster at the weekend and wow, what an event! It was a real privilege to share the evening with so many knowledgeable professionals and celebrate this milestone together, the NFRC sure know how to throw a party! 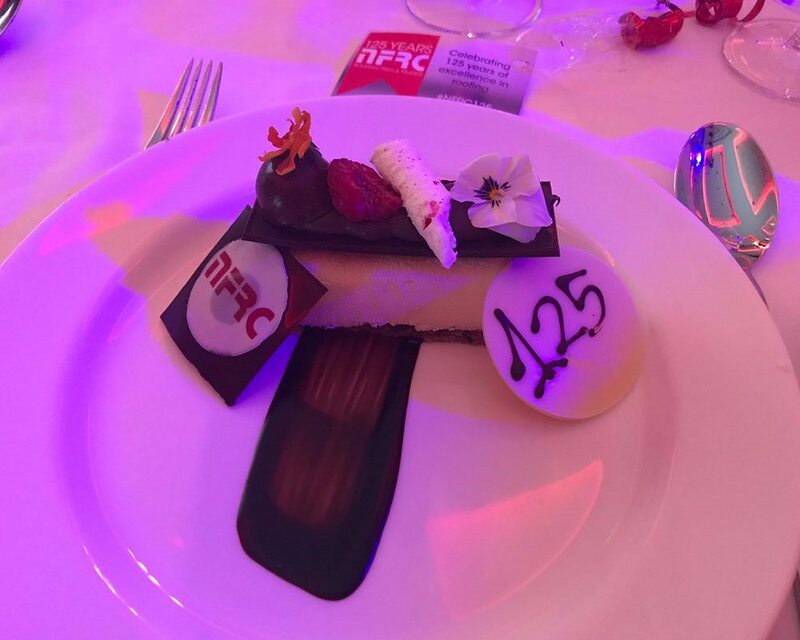 The 125th anniversary party followed the roofing awards ceremony at lunch time which we sadly could not attend, but all the projects that were shortlisted were very worthy of being noticed. Congratulations to all the winners from Fridays awards, and to the NFRC for 125 years of excellence in roofing. Here’s to the next 125 years!